Luxury means so many different things to different people. For some luxury is as simple as having something done by someone else that one might normally be required to do without any assistance at all. For others, luxury implies decadence on a grand scale. And still for others, luxury means “best in class” –immersive experiences complete with those discreet elegant amenities that set a place or an experience apart from all other like options. In singular ways, each of the following five destinations subscribe to all of these definitions in such a way that they represent the penultimate vacation getaways for lovers of luxe. Perhaps the most common misconception about Las Vegas is that it’s primary appeal is gaming. The truth, however, is that there is so much more to do in Las Vegas than taking turns among the plentiful craps tables and slot machines. 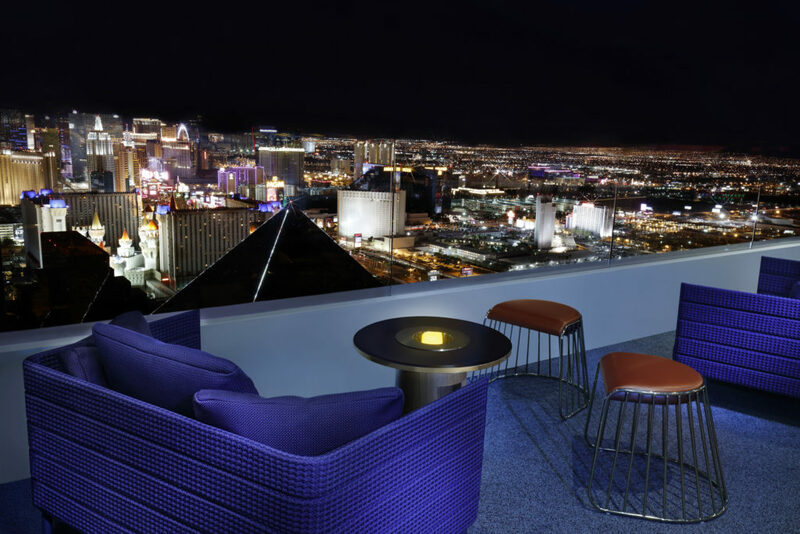 In fact, with very little effort, you can treat yourself to a luxe holiday in Vegas that has nothing at all to do with any of the aforementioned activities and feel none the lesser for it – particularly given that there is probably more luxury per square foot in Las Vegas than almost anywhere else in the world. Wondering where to start?  First of all, there’s pampering at a memorable array of spas like the sleek, modern BATHHOUSE Spa at the Delano, the massive 80,000 square-foot Spa at the Aria, and the serenely gorgeous Spa at the Mandarin Oriental, among others. Combined with unique, upscale shopping experiences at the likes of the Wynn Esplanade and the Shops at Crystals, fine dining at restaurants helmed by revered chefs like Alain Ducasse (Rivea at the Delano), Julian Serrano (Lago at the Bellagio) and Michael Mina (Bardot Brasserie at the Aria), an assortment of shows featuring the biggest names in music and entertainment, and VIP limo service to and from any and everything, what could make for a more decadent getaway? 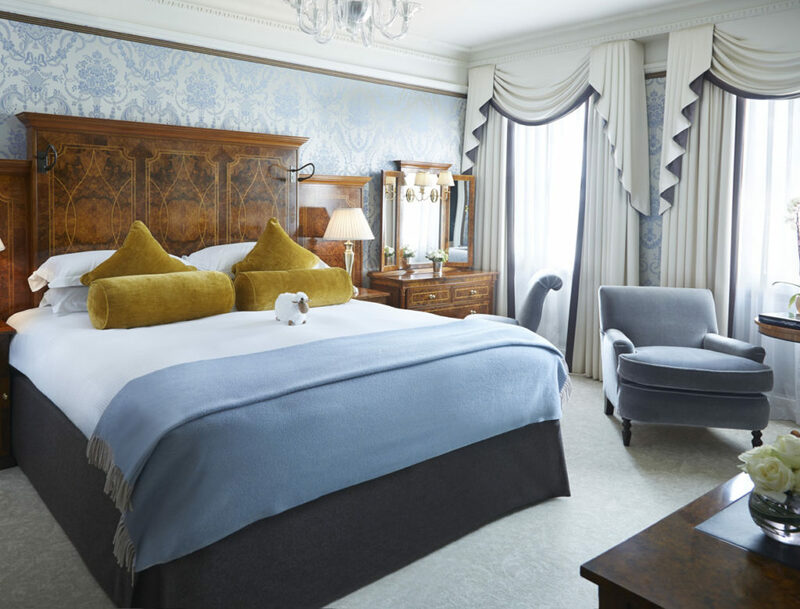 A suite at The Goring, London. If there is one word that best describes the seaside town of Carmel-by-the-Sea, it might be surreal. Santa Barbara may be heralded by some as the California’s answer to the Riviera, but Carmel-by-the Sea is perhaps endowed with a better claim to the title. A charming boutique-filled town commingled with an unspoiled beach dramatically surrounded by bluffs and a rugged coastline evokes the feeling of la dolce vita best embodied by the likes of Capri and St. Tropez. 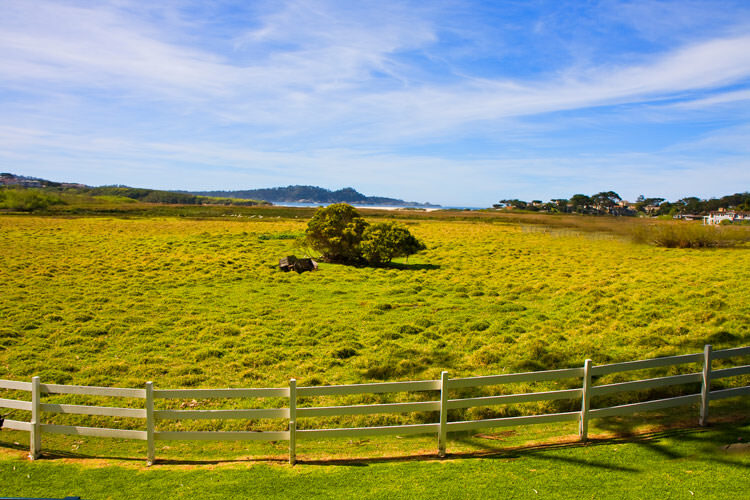 Among the favorite stops for an elegant stay in Carmel is the Doris Day -owned Cypress Inn in the heart of town and the Clint Eastwood-owned Mission Ranch, where the vistas are jaw dropping and the Martinis (along with the company) at the bar are otherworldly. 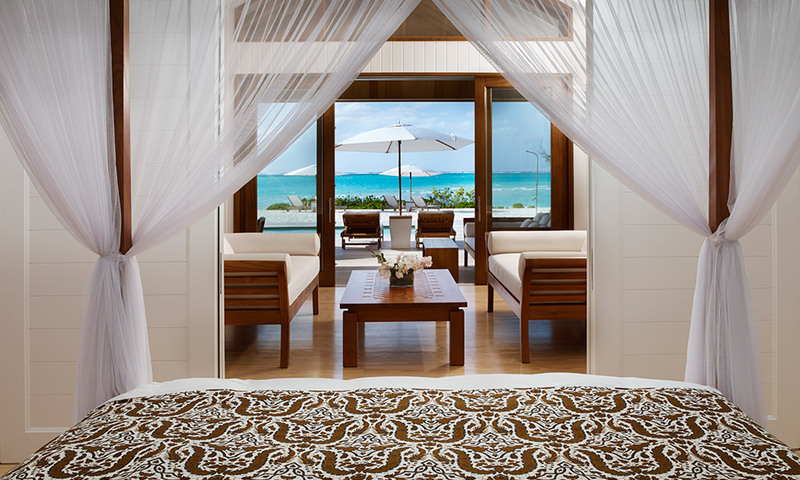 Extremely elegant accommodations specializing in privacy, pristine beaches, crystal clear waters, perfect weather year-round, a steady flow of rum-inspired cocktails and not a care in the world make Turks & Caicos a standout among luxe travel getaways. 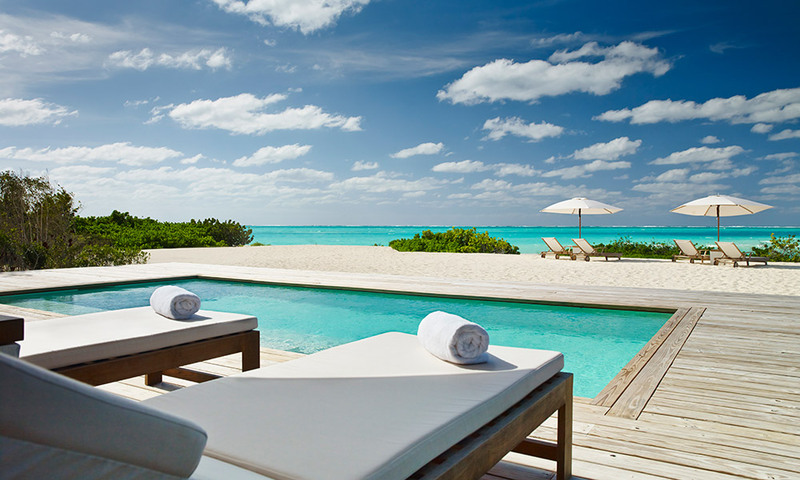 Moreover, if a destination is to be judged by the star power of its regular visitors, Turks and Caicos is a winner on multiple levels. Among the starry visitors of late to the islands are Brad Pitt and Angelina Jolie, who spent their holidays at Donna Karan’s villa in Parrot Cay, Justin Bieber, Christie Brinkley, and newlyweds Sofia Vergara and Joe Manganiello who spent their 7-day honeymoon holed up in a remote villa at the exclusive Parrot Cay Resort. Need I say more?